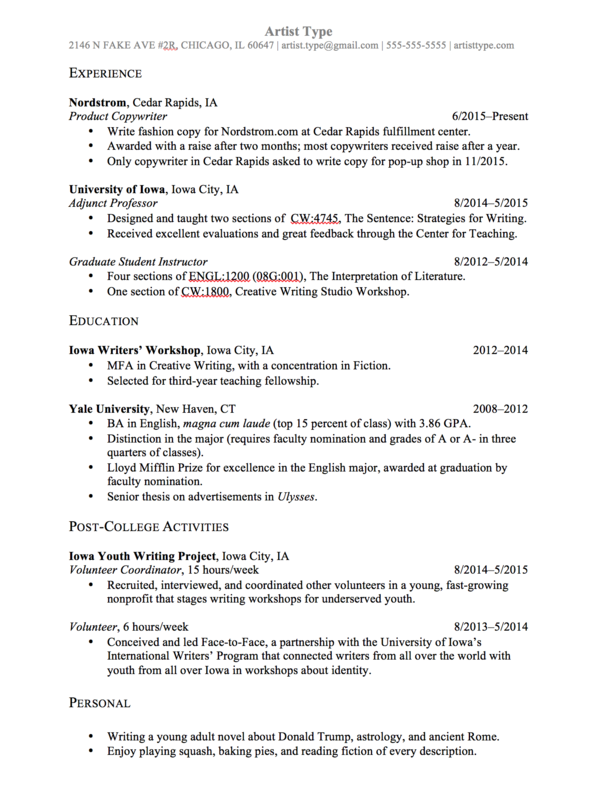 Click here to download this sample résumé as a Word doc for use as a template. The artist added enough detail about his novel to prompt an interview question. He used the Personal section in general to provide some continuity with his writing background. Most applications don't require you to put your LSAC number on the résumé, and many people don't, but because some applications might want you to add your LSAC number, you might as well.